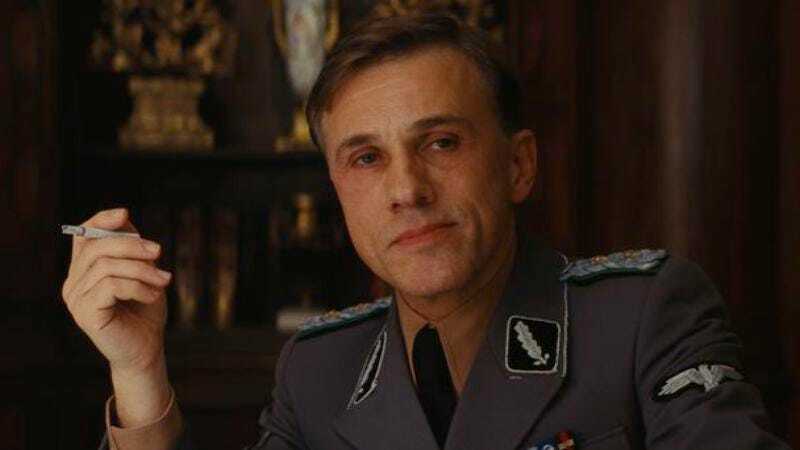 Since it somehow hasn’t happened already, Christoph Waltz might be playing the villain in the next James Bond movie. This comes from The Daily Mail, which claims that Waltz has fully “jumped on board” Bond 24. It also says he’ll be playing a “complex” character who could be a “friend, or foe, or a bit of both.” We’re talking about Christoph Waltz in a James Bond movie, though. If he does it, he’s obviously playing the bad guy, and his bad guy is obviously going to be funny in a scary way, because he’s obviously perfect for that. Chiwetel Ejiofor was in the running to be the next Bond villain back in April, but The Wrap says that deal fell through and Waltz will be taking over that role. Ejiofor has a significantly more restrained energy than Waltz is known for—again, he’s funny in a scary way—so it seems hard to believe that they’ll just be playing the same character, but Bond villains can be a bit interchangeable anyway. They just need an evil scheme and a scary hook, which could even be a literal scary hook. We’re thinking Waltz’s plan could involve robbing Fort Knox, and his gimmick can be a pair of huge, metal teeth that can bite through anything. Have any James Bond movies done that yet? Or, better yet, maybe he can just be a nice German guy who isn’t evil at all. With Waltz’s name now unofficially attached to Bond 24, he joins Léa Seydoux and Dave Bautista on the list of people who might be in it but haven’t been confirmed yet. But, really, all we do know at this point is that the good guys who survived Skyfall will return, though that doesn’t tell us much. Maybe it will be a Doctor Who-style adventure where all of the previous incarnations of James Bond team up to defeat some cosmic threat? Let’s just make that the next big rumor.